Enter an original animated adventure with the world's first video game hero! 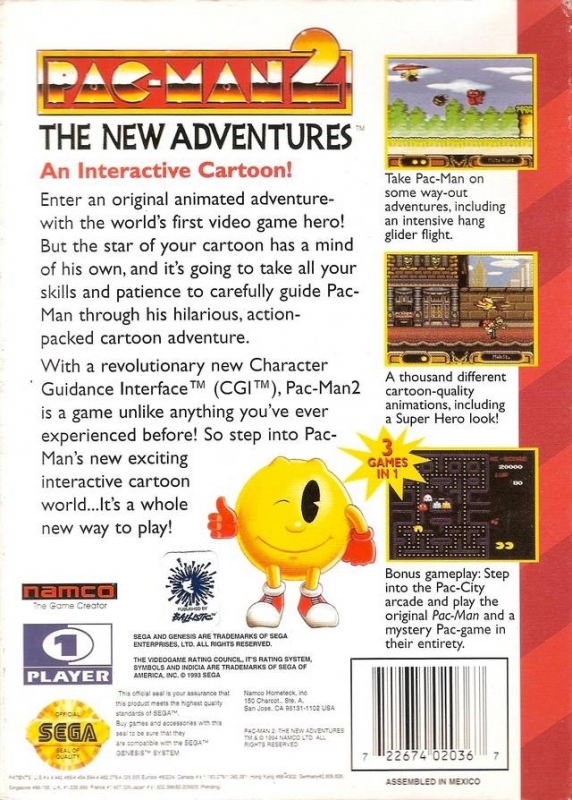 But the star of your cartoon has a mind of his own, and it's going to take all your skills and patience to carefully guide Pac-Man through his hilarious, action-packed cartoon adventure. With a revolutionary new Character Guidance Interface™ ( CGI™), Pac-Man 2 is a game unlike anything you've ever experienced before! So step into Pac-Man's new exciting interactive cartoon world...It's a whole new way to play!